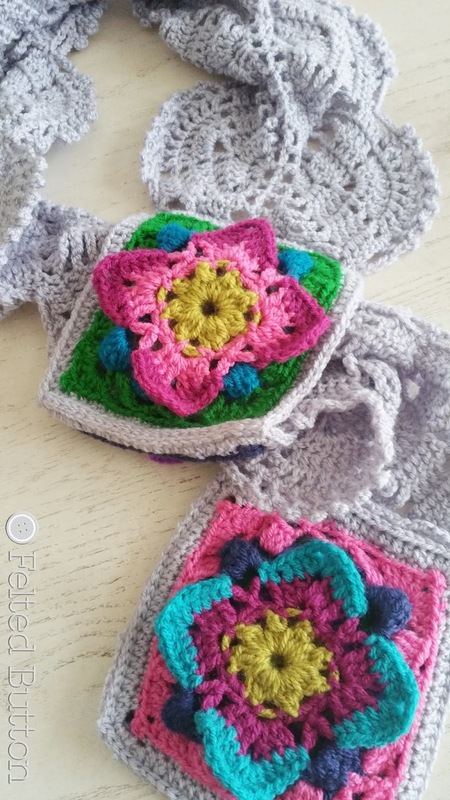 Felted Button - Colorful Crochet Patterns: Crochet Patterns for TWO Scarves! 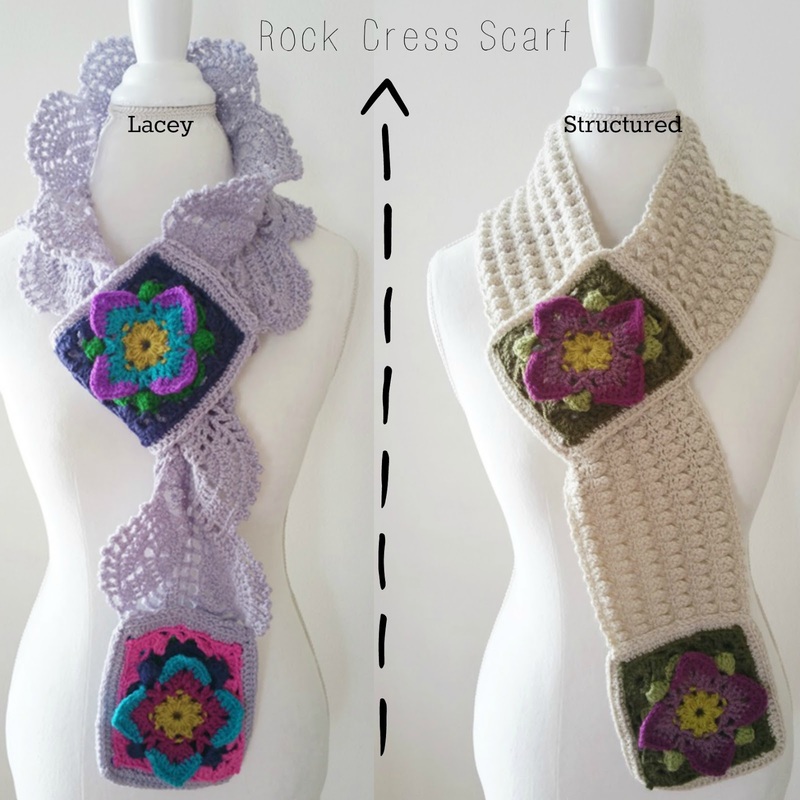 Crochet Patterns for TWO Scarves! I've got TWO new scarf patterns ready! And I'm loving them both! Wanna see? When I sat down with my huge stash of Scheepjes *Colour Crafter to begin the motif that was in my head, I really wanted to make something with some depth and dimension. I wanted it to be a good sized square (this one is 5.5"). I wanted something that "moved". And something magical happened! This little motif came together in just over an hour! That NEVER happens in my design world! Magic, I tell ya! And then my brain began to work to envision a scarf--where the length could be easily adjusted, where it could be held snuggly in place by threading one end between the motifs--where you could really have fun with color and make it suite your style or favorite outfit! But should it be lacey--like this? Or really textured and structured like this? The patterns are available separately--pick your favorite--in PDFs that include the yarns colors and quantities used for the sample, complete written instructions (US terms), and lots of pictures to help you through the motif. I've also included the multiples # for both the Lacey and Structured styles so you can adjust the length of the scarf for your best fit and personal style. 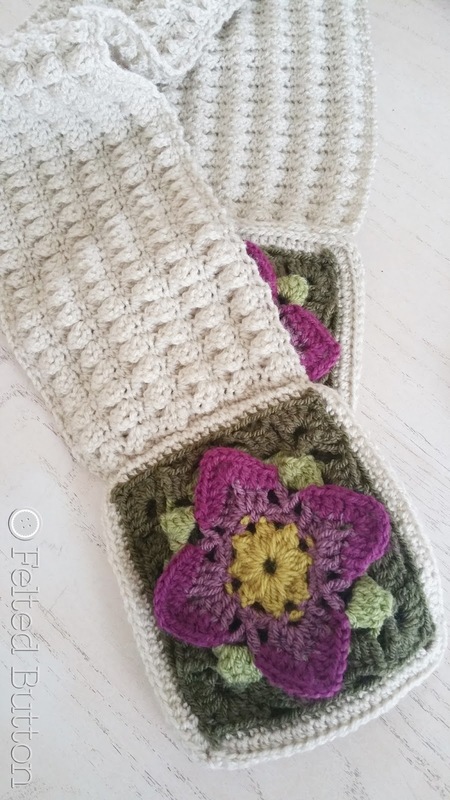 The patterns have both been thoroughly tested for clarity and errors, as well, so you can crochet with confidence. I've rated the patterns as Intermediate so they are not too difficult--although the Lacey Rock Scarf requires a bit more focus since it has a longer repeat. Feel free to click over to Ravelry here and here to add them to your favorites or library. I've got some other really fun things in the works--pillows, blankets and other fun yarny designs, so stay tuned on my Facebook page here. I'll be back soon with some really fun and colorful crochet designs! | On the Board | -- To Him our direction is more important than our speed. **In the spirit of full disclosure, this post includes affiliate links, which means that I may get a commission if you decide to purchase anything through the link. I only recommend products & systems that I use and love myself, so I know you’ll be in good hands. What I like so much is the peace that passes by just two granny to be used in the scarf! therefore the flowers are beautiful!